This is the third House of Blues location I have visited, I visited the one in Boston first, then the one in Atlantic City second! Wow, this is one colorful building! At first I thought it wasn't real until I clicked on the image. Outstanding WW post! Come by to visit my new WP blog home with today's post WW: Cherohala Skyway! it seems like a place that bursts of energy! happy WW! I bet that was a fun place to visit. Have a terrific day! I bet that is a fun place to visit! 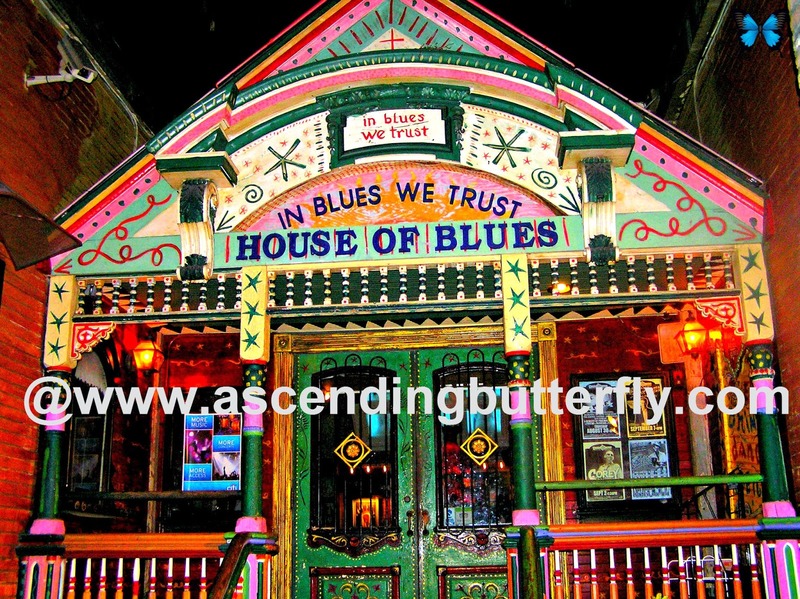 I've been to the Atlantic City House of Blues, it would be nice to visit as many of them as possible. I love love to order there corn bread ! I love blues ..and I bet this is the perfect place to have such a wonderful time listening to our favorite tune..cheers from Indonesia..